Karoline Leth is a film producer and she has been producer, teacher and coordinator at the National Film School of Denmark at the Documentary Department. Then Leth became CEO and producer at Zentropa Real, the documentary division of Zentropa. From 2006-13 Leth operated as Managing Director and Producer at SF Studios Production in Denmark. From 2013-18 Leth was producer at DR Drama DRTV. Leth has produced more than 20 short and documentary films and several feature films amog these ‘Marie Krøyer’ directed Academy Award Winner Bille August. Leth was co-producer at the two feature films and a TV series based on author Jan Guillou’s tales about the Night Templar Arn. Leth produced the first two seasons of the drama series ‘Rita’ for TV2 Denmark. The series is created by Christian Torpe and has been a huge success at Netflix and some remakes has been done in France and Belgium. Together with creator Dunja Gry Jensen, Leth developed the disruptive crime series ‘Norskov’. Then Leth moved to DR Drama to produce the end of the first season of ‘The Legacy’ followed up by the next two seasons. 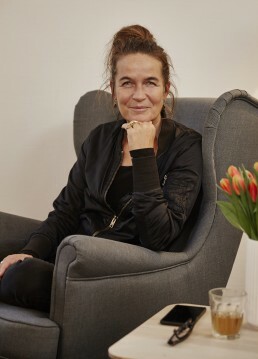 ‘The Legacy’ is created by Maya Ilsøe and has received Danish Film Academy awards for all 3 seasons and for best actors, actresses and for supporting actors and actresses. The series has also received FIPA Award for best drama series and best script among other awards. Leth has produced the mini drama series ‘Liberty’ based on the book of award winner Jakob Ejersbo, created by Asger Leth and directed by Mikael Marcimain. ‘Liberty’ had its world premiere at the Berlinale Drama Series Days 2018.